Do you get customers from Google? Are you ranking for phrases that people actually search? 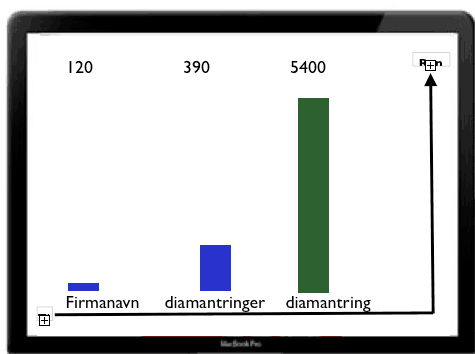 The diagram shows a real keyword analysis that shows that the company name only had 120 searches per month, while the difference between "diamond ring" and "diamond rings" in the differs with over 5,000 searches every single month. If you multiply 5000 by 12 months, this represents a total of 60,000 more diamond ring diamonds. This is important because Google shows completely different search results on these 3 keywords. If you were a jeweler, what would you prefer to be in the top 10 position? Due to the analysis above you would of course choose diamond ring in single form. But, what would you answer without an analysis in advance? Therefore, the question "is your company visible on the internet" is not necessarily about being visible on its company name. Most people search for needs and named issues rather than applying for company names. Which variants of keywords are best sought for your company and are you visible on these? Let's do a simple market analysis for you where we find your best search phrases and tell you what actions you should take.